It means feeling… It means trusting… It means being connected to who you truly are, your authentic self. It means your being completely transparent in every moment. You’re not thinking about what you should be feeling, what you should be saying or what the other person is thinking about you. Instead, you are in complete communion with your soul and your heart. Living through your heart space is peaceful, it feels free, natural, easy….it is the essence of freedom! Its all about a state of BEing. Most of the time we are doing… thinking… judging, worrying, fearing, trying to make up for our thoughts of lack – lack of money, lack of love, lack of joy, lack of freedom, lack of time by DOing, rushing around, pushing to make things happen for us, with our awareness in our minds, our ego. We have forgotten that everything we could ever possibly need to know is in our heart – All of the guidance we seek, all of the love we want to feel, all of the joy and freedom we desire, our deepest passion, our souls calling, our innate and unique gifts and offerings all reside in our heart space waiting for us to connect in. Everything we want to feel is already within us. It is not outside of us, with that other person or that job or that place or that thing! 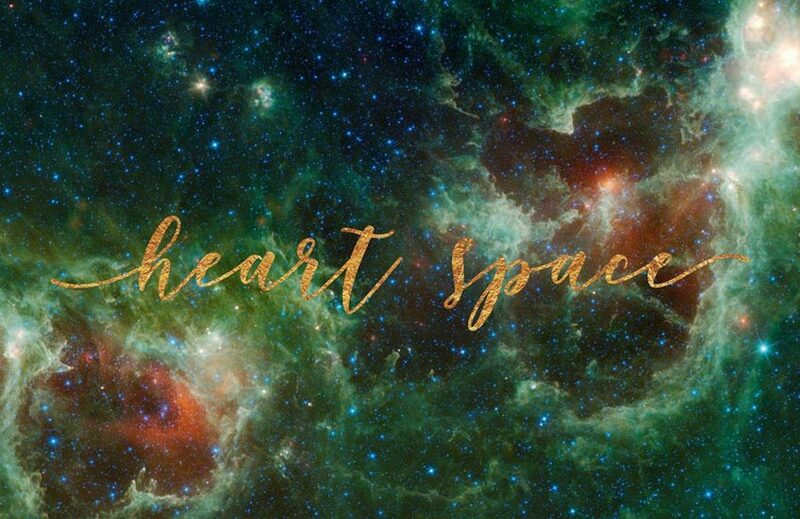 How do you live through your heart Space? Imagine waking up every day and setting the intention to drop into your heart and feel your way through the day. To be SELF aware and to honour every emotion. To consciously feel every sensation, every response, every interaction with your environment and the people in it. Not only will you completely transform your relationship with your SELF but you will be completely transforming your relationship with everyone outside of you which is always the reflection of the relationship you have, with yourself. You will no longer be reacting from your mental/ego level where fear, insecurity and anger reside. You will be responding from love of self, compassion, your truth and the divine connection with your inner being. As a result of this, you will start to see others through the eyes of compassion, acceptance and an easeful grace that allows life to unfold in the most beautiful way for you. People often worry that if they embrace and feel their anger/fear/sadness etc that it’s not spiritual, it’s not kind, it’s not loving but all of these emotions are a part of you and to embrace, acknowledge, honour and give them a voice is the path to healing and wholeness. This is the art of aligning your spirit with your physicality. You will be surprised at how easy and quickly your emotions dissipate and move through once you practice this. Try it… get a sense of your heart space and feel your way through today. where will it take you….?? Back to yourself, where you long to belong. set a daily intention to FEEL your way through the day. stay present in each interaction you have with others and your environment. take the time to honour your emotions, to feel them in your body. acknowledge them. breathe! if you are over thinking it, getting caught up in mental drama – BREATHE consciously and slowly, then drop out of your head, into your heart and feel the truth of the situation. I hope this has inspired you to live a little deeper within, with more conscious connection to your self, as we embark on another incredible year of BEing all that we divinely are.